In recent years, congregants from different church groups have been seen eating grass, drinking fuel, and even eating rats. Martin Bester was so shocked when he saw the videos and the pictures that came to light over the weekend. The Minister of Cooperative Governance and Traditional Affairs Zweli Mkhize addressed a consultative forum of the CRL Commission in Irene, Pretoria on Monday. Mkhize has called on the CRL Commission to protect the public against “unacceptable religious practices”. He spoke against pastors who engage in practices such as eating grass and drinking hazardous fluids. 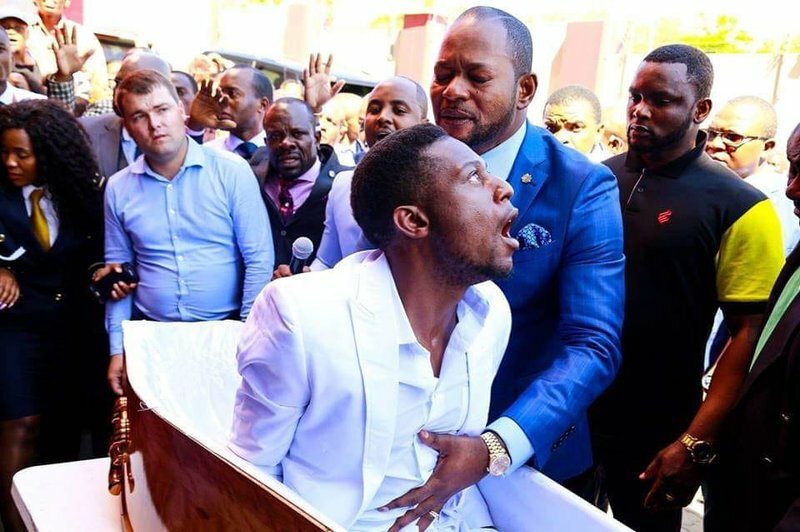 This comes after a video went viral on Sunday showing a pastor by the name of Alph Lukau, claiming to raise a person from the dead. Martin Bester was shocked that the guy kept his cellphone through the entire 'resurrection'!